Eat Dalia (salted or sweetened) according to your liking, zeera, ajwain, saunf in different ways whichever you please. However since these are natural ingredients this they must be had in moderation. Reduce you intake of sugar to also improve quality of milk in terms of more fat and less sugar which is beneficial for the baby. Eat drumstick and drumstick leave as curry. It will work well. And oatmeal also works well. Boil 1ltr milk and add 1 kg jeera. Boil ajwayan and saunf in water tn drink that hot water two times in a day . Eat fruits nd green vegetables. Also take milk three times in a day. 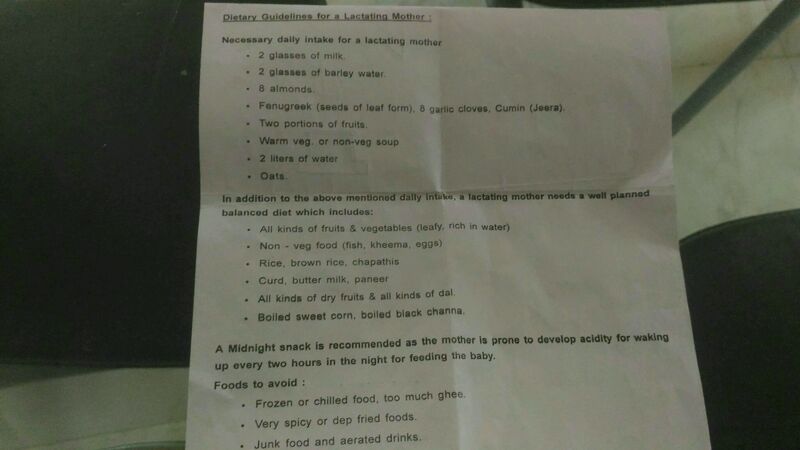 Shatavarex powder also increase breast milk.two spoons in one glass milk,daily twice.and follow my diet chart.don't eat spicy food.don't tense,enjoy with ur baby.stress will decrease ur milk quantity take care.breast feed with a peaceful mind.